Caffe La Tana. Photography by Glasfurd & Walker with Ian Lanterman. Ubuntu Canteen. Photograph by Samuel Kelly. New year, new cafes. But same coffee-loving Vancouver. 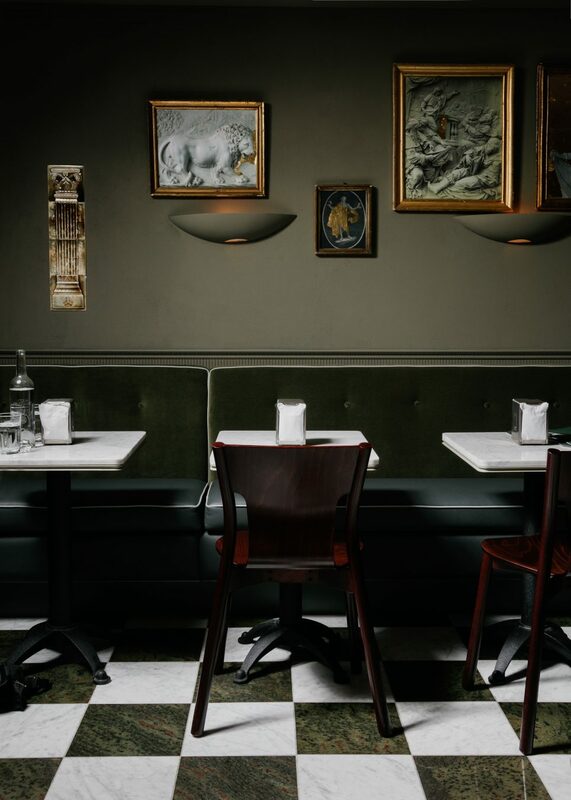 From the team behind Savio Volpe and Pepino’s Spaghetti House comes a third concept, this one styled after an Italian alimentary: a small, neighborhood joint that not only serves up pastries and simple savoury dishes, but also houses the finest Italian meats and cheeses. Designed by Ste. 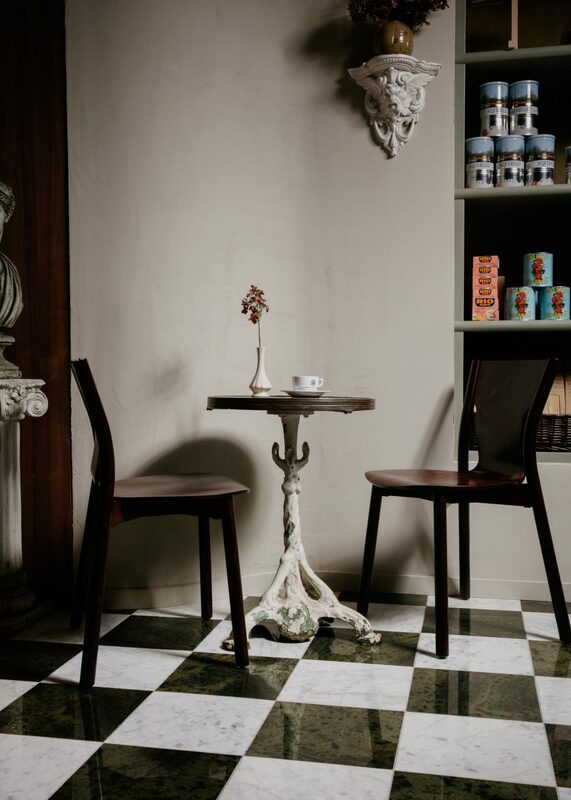 Marie with branding crafted by Glasfurd & Walker, the deep green marble of the room, with classic tile flooring and hand-drawn woodland wallpaper, reflects the Italian sentiment of making art out of life. Perhaps the greatest gift for those sitting down to enjoy a traditional Italian espresso (La Tana worked closely with JJ Bean to create a signature espresso for the space) is watching fresh pasta being made right at the counter. 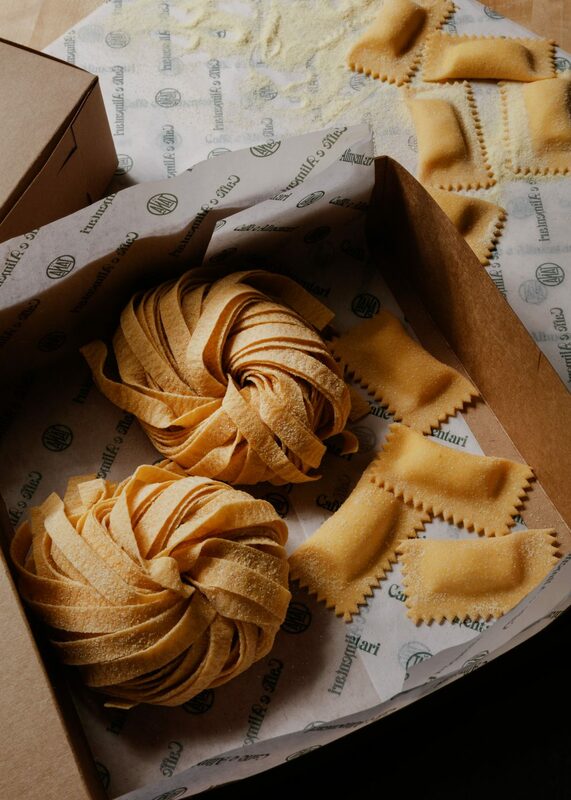 Whether it’s cooked to order (squash cappelaacci and ricotta ravioli served with brown butter and sage, and some slices of bread from Fife Bakery, is a must) or sold by weight and wrapped to take home, La Tana’s Pasta Fresca is where noodle dreams come true. 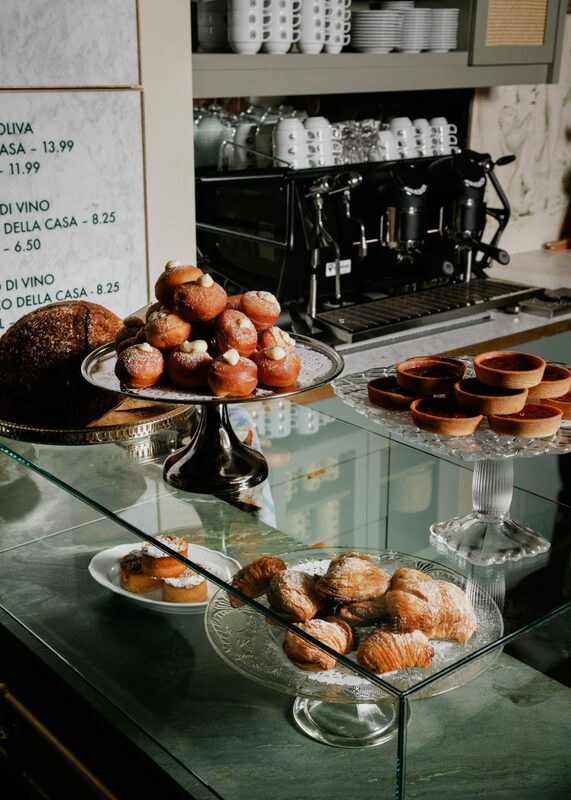 To cap off an afternoon lunch, enjoy a lovely espresso drink with either a fresh sfogliatella filled with ricotta, citrus, and cinnamon, or a bombolini (cream donut) with Nutella. And if waiting for a table at next-door Pepino’s on a Friday or Saturday evening, pop once again into La Tana, which transforms into the natural wine bar Vini Volpe. Grab a drink, listen to some music, and take in the world of this labour of love. The sun is shining, the street is quiet, and Kento Kitayama, owner of the 17-square-foot Iktsuarpok Coffee Stand, patiently waits to take an order. 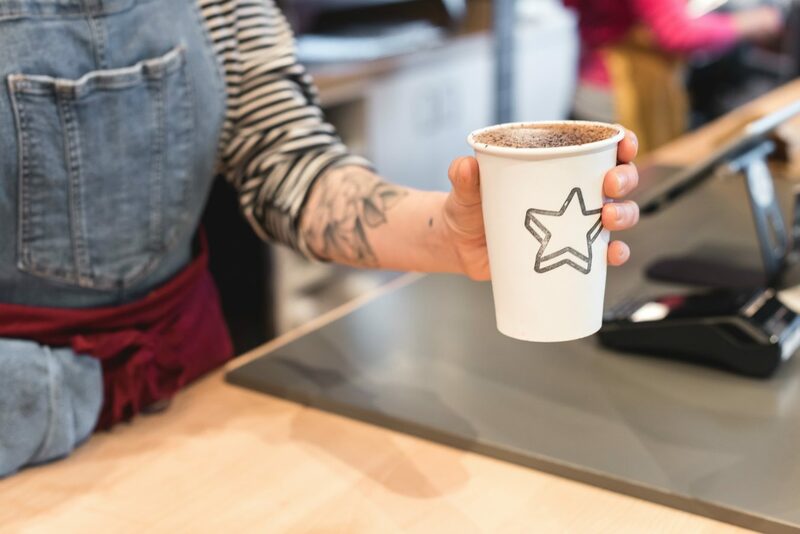 Located on Carrall Street in Gastown, Iktusarpok is simple, brewing up rich coffee behind its small window facing the sidewalk. There is no seating, but perhaps that is the joy of it all: the wait, the pacing on the street that forces drinkers to take a moment to pause. The menu has a total of three words on it: black, white, green. The matcha latte is sold out on this particular day, but the white option is worthy in its own right: a beautiful latte made with Vancouver’s Moving Coffee beans. 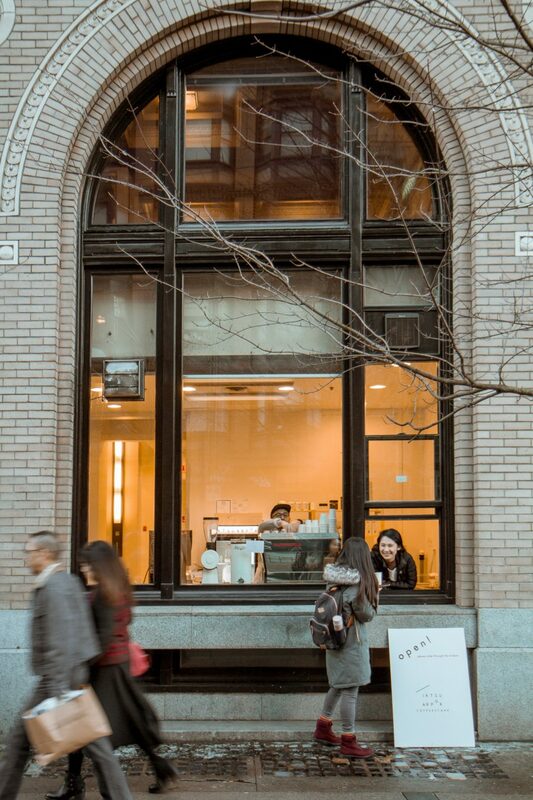 And although the baristas at Iktsuarpok are waiting for crowds of Vancouver java fiends to come try their little window, they are also cherishing these slow early days of the business. Soon enough, though, the city will discover this charming (and pretty much literal) hole in the wall. Longtime friends Anna McMillan, Rheanna Miller, and Kirsten Kennedy came together to create The Garden Strathcona, a beautiful space that East Hastings is oh-so lucky to have. A large coffee bar is met by grey concrete blocks mixed gorgeously with blooming foliage and plush couches, the seamless companions to a subtle emerald-and-gold colour scheme. But beyond the calming decor are the dreamy drinks, using beans from Clark Drive’s Agro Coffee Roasters and non-dairy milks from NutMeg Mylk. In particular is a walnut-almond blend that is perfectly sweet, making each sip from the cup an utter joy. 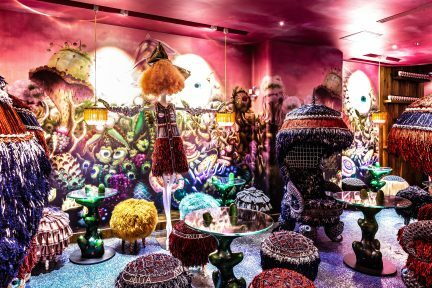 And while there are many corners to make oneself at home in, be sure to sneak a peek of the space’s kitchen near the back, where cakes, cookies, bowls, and toasts are whipped up. 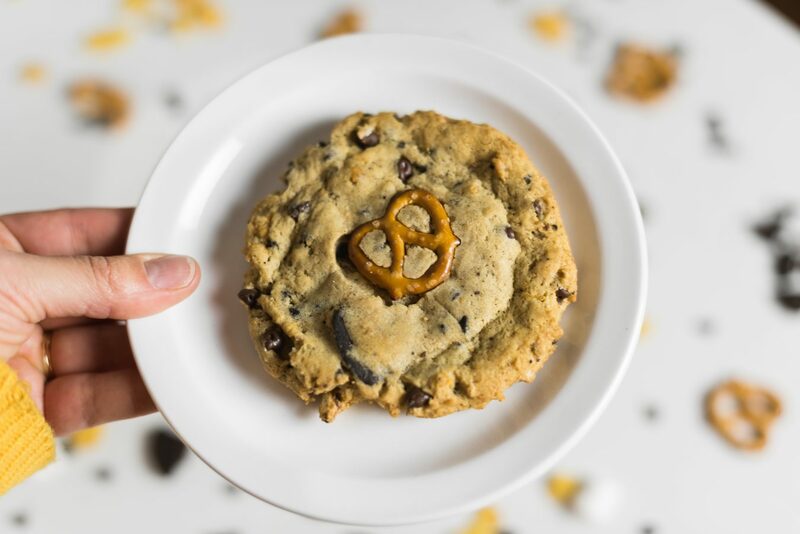 Speaking of cookies, The Garden is home to an out-of-this-world salted chewy chocolate chip cookie that butter-lovers would never guess was vegan, along with a cookies-and-cream affogato made with Say Hello Sweets milk-less ice cream. And then there is the product corner, packed with a beautiful selection of local goods including dishes by Bird Ceramics, candles by Brand & Iron, deodorants from Nala, skin care from Midnight Paloma, and spreads and chutneys by Luv the Grub. A community is truly developing here. At Ubuntu Canteen on Fraser and 26th, slow mornings are done right. If it’s not the mouth-watering brioche oozing with sweet persimmon custard made by Sweet Boy Cream Puffs, then it’s the thoughtfully-crafted kids table at the back equipped with books and toys. But more importantly, it’s the refreshing fact that no takeaway cups are in sight. Ubuntu wants customers to sit back, relax, and enjoy the warm coffee, delicious food, and good vibes available right here (although, for those who do want an Americano to go, bring a mug from home and they’re happy to oblige). With one of the city’s most unique house-made nut milks (a beautiful combination of hazelnuts and oats, both rich and smooth in texture), cradle a drink made with Bows X Arrows beans (an ode to the former tenant of the space) and housed in a ceramic mug made by Janaki Larsen. Come nightfall, Ubuntu becomes a spot for rotisserie chicken and charcuterie boards, making it a full-fledged dining option for the Fraser Street community. But it is the mornings, when the world is still waking up, that shine the brightest. The words are hard to miss: Just Food. The big red letters, created by brand design studio Zak, are bright and playful, a true indicator of the message Nada is sending with its 100 per cent package-free grocer: the food experience can be enjoyable and empowering. 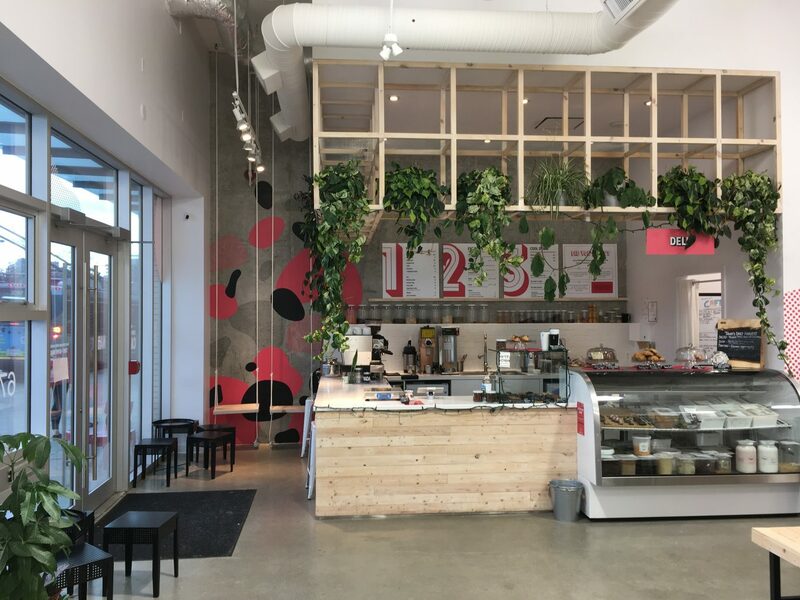 And more recently, the business introduced Vancouver’s only zero-waste cafe right inside its walls. 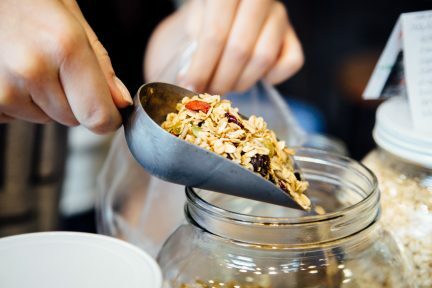 That’s right: at Nada there are no disposable cups, cutlery, take-out containers, or napkins; here, customers are challenged to bring their own mugs for their coffees (and don’t forget reusable Tupperware if wanting to take that slice of banana bread to work). Still, there are options available for those new to the package-free concept (there are reusable containers for sale, and donated mugs and dishes if wanting to stick around for a bit to enjoy a coffee on one of the beautiful space’s swinging chairs). With beans from Bows X Arrows, the cafe is also stacked up with local goods from Livvy’s Bakery, To Die For, Two Daughters Bakeshop, Yellow Basket Baking, and Zimt. 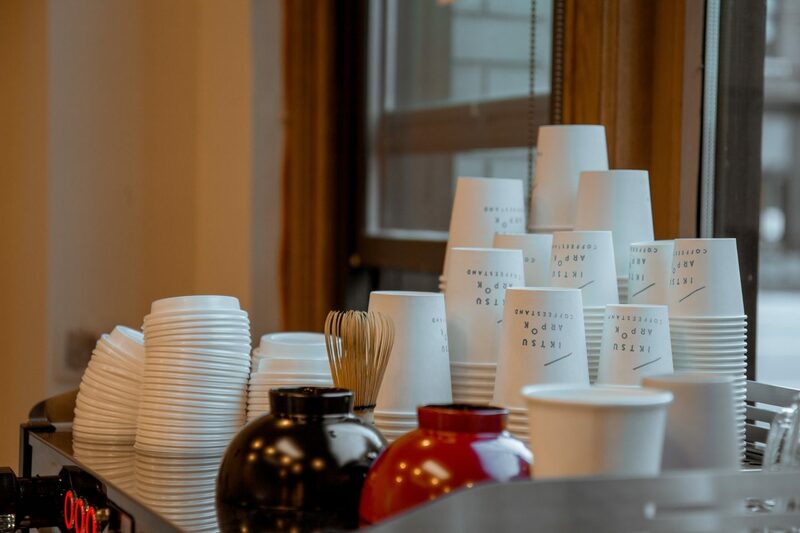 There a variety of smoothies, salads, and soups made daily in-house with the store’s surplus of imperfect or blemished products, as well; food waste is often overlooked by cafes, but Nada is making sure to take responsibility, and it makes a cup of java even more enjoyable. The light shining on big windows at the corner of Union and Gore signifies something that is not to be missed. It’s where bundles of dried baby’s breath are pieces of art, and ricotta pancakes are as sweet as can be(e). It’s always sunny at Hunnybee Bruncheonette, the new project from the team behind Gastown’s Birds and the Beets. Whether it’s breakfast or lunch, the coffee is always flowing at this all-day cafe in Chinatown. With carefully selected ingredients from local farms like Cropthorne and the University of British Columbia, the menu is full of classics, from honey yogurt and granola to poached eggs and avocado toast—as well as surprises, like the tofu banh mi with hoisin sauce, pickled carrots, and cilantro on perfectly crunchy ciabatta. 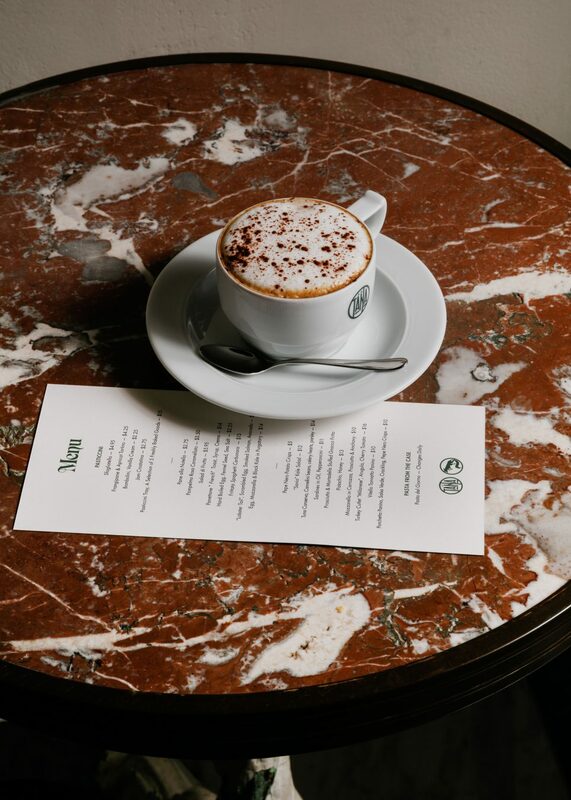 Whether just finished a workout at Tight Club or a shopping trip at Charlie & Lee, grabbing a coffee and bite at Union Street’s newest addition is a pleasure. On West 8th near Cambie, spot the big red building. Inside, there’s an urban garage—one where bikes, mechanics, food, and coffee come together as one (sound familiar?). These are the basic interests that make up Jammer Cafe Motors, a spot for those to observe a full-service motorcycle mechanic area as they sip on their morning coffee by local roaster Pallet. The cafe welcomes motorcycle fanatics of all levels to come in and develop their skills; but if that’s not of interest, simply kick back and watch the large screen showing live events from the world of motorsports. 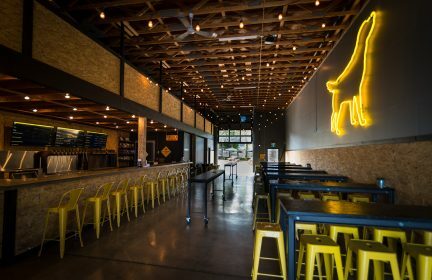 At night, coffee is switched out for beer, with the likes of Kamloops-based Red Collar Brewing and Squamish’s A-Frame Brewing Co. at the ready. For the biking community or those simply seeking something different, this is the ultimate hangout. Catering to the plant-based downtown crowd is Bonus Bakery. 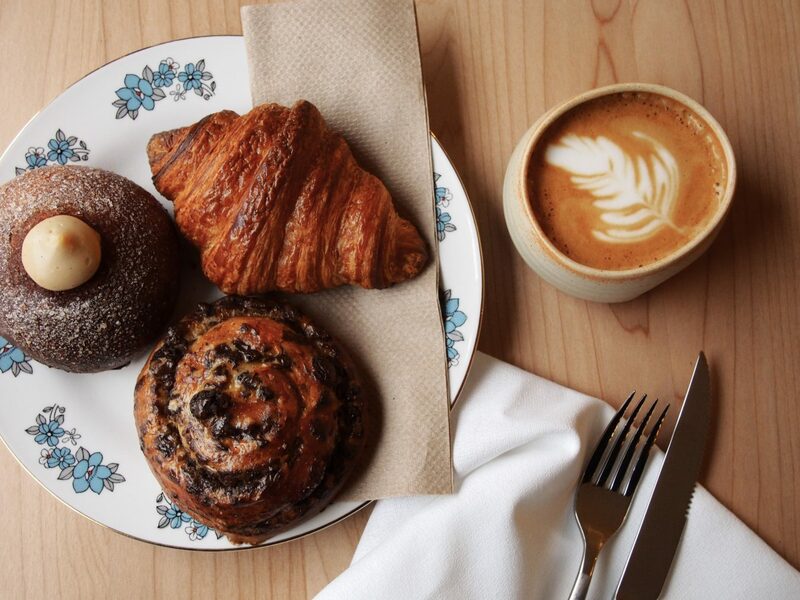 The Coal Harbour spot serves up walnut brownies, lemon blueberry scones, cinnamon buns, and cookies (all vegan) made by head baker Monica Tang of Level V Bakery. Matchstick coffees can be paired with a range of non-diary milks (almond, soy, and oat are all here) and enjoyed in the bright space, filled with kitchen knickknacks and fun cookbooks. Come lunch, savoury pretzel pizza buns and “chicken” and waffles are available for an afternoon pick-up. Among the hustle and bustle of downtown, Bonus is a breath of fresh air. 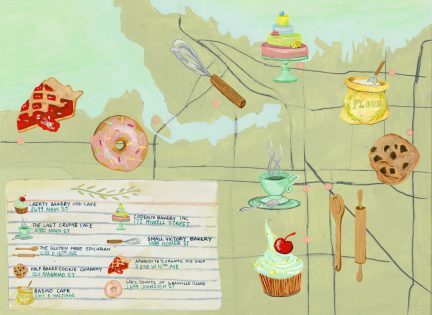 The sounds, the smells, the tastes, the vibes—the best cafes have it all, and Vancouver is leading the charge. Hungry for more? Taste it all in Food and Drink.